This 2017 Volkswagen Golf Trendline has AppConnect, USB, Back-up Camera, Bluetooth, Power Heated Seats, and all the things you'd expect from a well equipped and fun car. With excellent power, handling, and comfort, wrapped up in a spacious hatchback that is both practical and efficient. Once you drive a Golf, you want a Golf. Call today to book your test drive. Fully inspected and serviced by our Certified Technicians and protected by the Taylor 90-day 9,000km Guarantee. 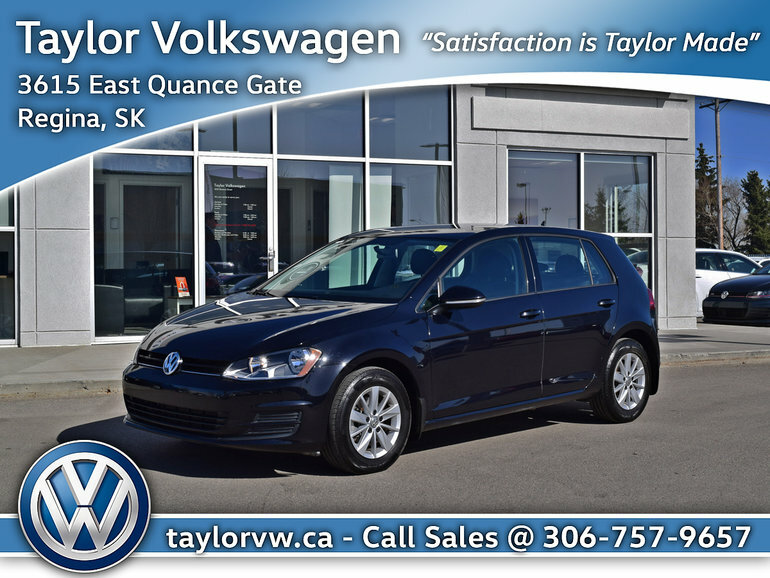 Come on down to Taylor Volkswagen, 3615 East Quance Gate to take it out for a test drive and see for yourself. Interested by the 2017 Volkswagen Golf 5-Dr 1.8T Trendline 6sp at w/Tip One Owner ? April Shower of Savings plus 0.9% Financing !! Save $2,000 ! !